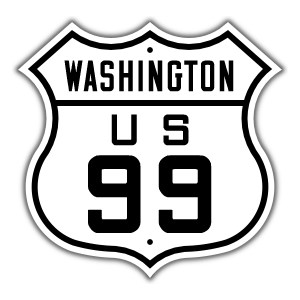 Two people were taken to the hospital Friday afternoon after a box truck hit a semi-truck on northbound state Route 99 in Seattle. A man in his 60s and a 27-year-old woman, both in the box truck, were taken to Harborview Medical Center. Reports say they were taken in stable condition. The crash occurred near South Cloverdale Street around 11:35 a.m. Medics arrived at the scene and found people trapped in the box truck. It's unclear what led to the wreck. I Was Offered A Truck Accident Settlement – Should I Accept It? After an accident involving a semi-truck – also known as a big rig, 18-wheeler, tractor trailer, etc. – you have most likely suffered injuries, possibly serious and life-threatening ones. This can be a scary and uncertain time for you, and you may be feeling overwhelmed. RELATED: How Do I Pay My Medical Bills After A Semi-Truck Accident? With victims in a vulnerable position after an accident, trucking companies and their aggressive defense lawyers will sometimes offer quick, lowball settlements. In some cases you may be offered a settlement that, once accepted, prevents you from seeking additional damages in the future. This is a mistake. 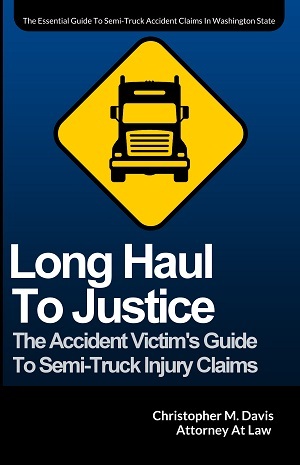 Do not accept anything from the trucking company until you consult with a top semi-truck accident attorney. A lump sum settlement in the days or weeks after a serious truck accident may initially seem like a life saver, but this line of thinking is problematic. Accident victims in these crashes may suffer permanent disabilities with lifelong effects, or a brain injury or condition that does not immediately show symptoms. It’s important to make sure that the settlement you receive is enough to cover all those costs and losses. Navigating this process is complicated. The trucking company’s insurance adjuster may seem nice on the phone and act like they really care about you and your recovery. Unfortunately, they almost always don’t. Insurance adjusters only care about their client – the trucking company – and about making money. Remember: the less money the insurance company pays you, the more money that goes into their pocket. Before you make your final decision regarding the insurance company's offer, do your research and think it through. Consult an experienced semi-truck accident attorney first to make sure the trucking company’s offer is really a fair amount. Attorney Chris Davis and the legal team at Davis Law Group, P.S., will help you figure out how much money you need to cover all of the damages and whether or not you should accept the insurance company's offer. If you decide not to take the settlement, we will work on your behalf to help you bring home compensation that is more in line with everything you've endured. Any questions you have about your truck accident case can be answered by Mr. Davis, who has nearly 25 years of experienced handling these cases in Washington State. Call Davis Law Group today at (206) 727-4000. Use can also use the chat feature below or fill out the form on this page.